Hey, did you know that my Patreon supporters get the audio version of this and other articles delivered right to their phone? It’s true. A few weeks ago someone asked me what has become a pretty common question: Why is Fortnite so incredibly popular? That Fortnite’s battle royale mode has become a phenomenal hit and entered mainstream consciousness is hardly debatable. The game’s publisher, Epic Games, recently announced that 125 million people have played it since its launch in July of 2017. It’s consistently one of the most viewed games on Twitch, and it even has musicians, athletes, and other celebrities crowing about it. But why? Why is Fortnite so popular? Well, on the face of it Fortnite is a well designed, technically solid, and fun game that’s FREE to play without any obnoxious monitization. You can’t overstate all that in explaining the game’s success. Especially that “free” part. But I think Fortnite Battle Royale’s secret sauce has to do with something that’s kind of obvious once you think about it: random chance. I don’t mean that Fortnite’s success is due to luck. Rather, I mean that Epic smartly leveraged the power of random rewards in their design for the game, and that’s one of the main reasons it’s so popular. Video games have plenty of different kinds of loot, and much of it is predictable. Open a chest in the first-person shooter Borderlands and you know you’re going to get some ammunition, just like you’ll get some gold out of every chest in Diablo III. Run over a medkit in an Unreal Tournament game and you know you’re going to get health back. Those are examples of rewards given on a fixed schedule, because you get them every time you do a specific action. But the power of loot-based games relies on what’s known as a “variable schedule”: sometimes you open the chest or kill the monster and you get nothing, or at most nothing good. Other times, though, you get a fist full of awesome –some cascade of cash or some new weapon that doubles the amount of damage you can do. Across a variety of animals, situations, and outcomes, random rewards outperform any other kind of reward schedule in terms of getting the person (or animal) to do what you want. Predictable rewards get boring. But never knowing if you’re going to get something good or not? That’s mesmerizing. This is because it turns out that it’s not the loot itself that’s so exciting to us. What really excites us is the loot drop. And actually, if you want to get really specific about it, it’s the anticipation of the loot drop. 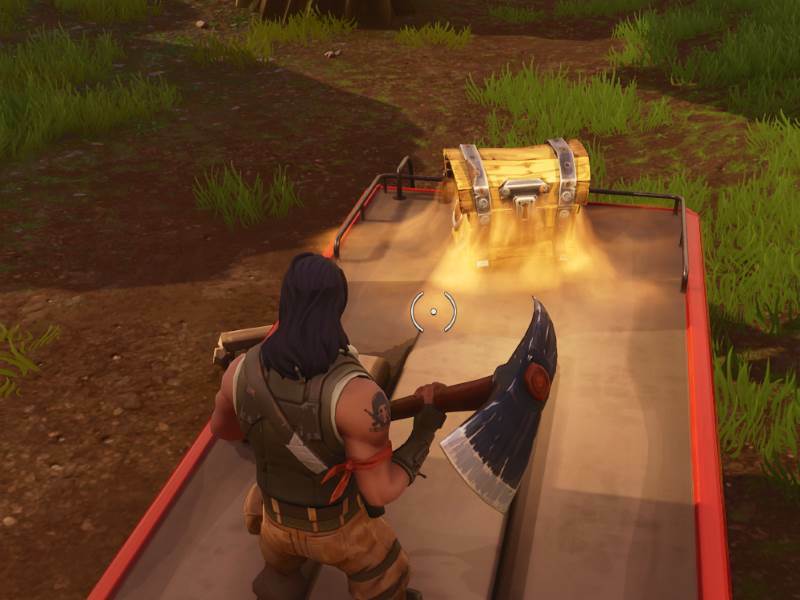 Fortnite certainly has random loot out of chests like a lot of games. Especially early on in a match, Fortnite is just one big loot-fest where everybody is sprinting for chests and hoping to get lucky with a blue, purple, or maybe even gold weapon. And whenever you defeat another player and get that pinata explosion of loot it’s close enough to random for a psychology major. So we can see this aspect of its appeal viz a viz constant anticipation of loot drops. 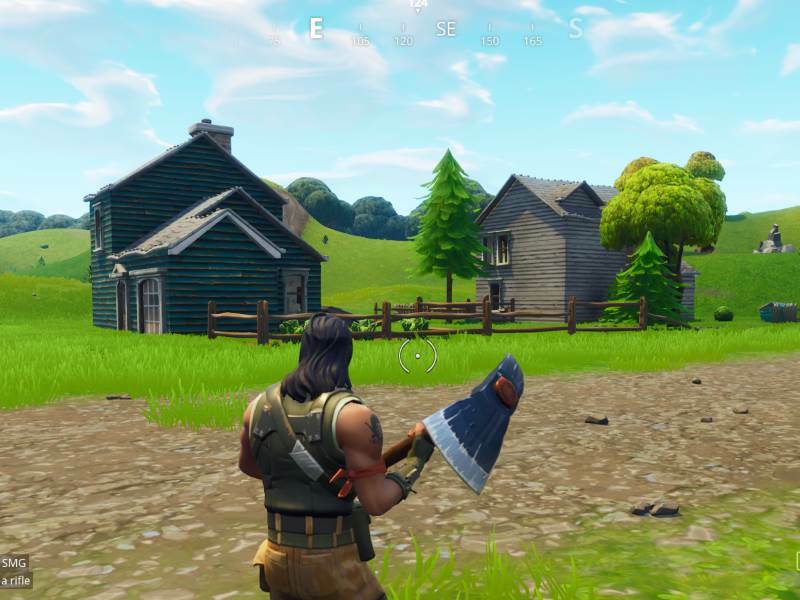 What will you find in these houses? Which will you choose? But the game goes further than that. Really, every other moment in the game is a random event of some sort. You set your sights on a building or some other landmark in the distance. Then you run for it, anticipating what you might find. You never know if a building is going to contain another player, or if someone is going to appear before you as soon as you crest a hill. And if they do, any encounter with another player can break your way if you’re lucky enough to get the drop on them. If they don’t see you first, your chances of victory in that exchange go way up. I think that this is one of the key sources the game’s appeal: in the early to mid match you can win any firefight if chance lines things up for you. dang ky nhan tien cuoc mien phi2 And even if you don’t win the encounter, you’re often left clenching your fists and thinking “Oh, geez, if only I had seen them first or if only I had come around the other side of the building” and then the near miss effect kicks in. And then who cares, it’s only another minute or so before you get dropped into another match and you get to start running for loot boxes all over again. A huge proportion of time spent playing Fortnite is anticipating something that could be awesome or that could be terrible. Paired with the relatively low cost to jump into a match, this combination of anticipation and randomness is really compelling. Oh, and also the dances are funny. People love the dances. 1. Adapted from Madigan, J. (2015). Getting Gamers: The Psychology of Video Games and Their Impact on the People Who Play Them (pp. 109-112). New York: Rowman & Littlefield. 2. Of course, we ultimately all know that player skill matters, and if you’re unlucky enough to go up against a good player they will probably smoke you regardless of your luck. Probably from the top of a ten story tower that they built in like two and a half seconds. But much of the time it feels close enough to random to get us hooked.